Nothing says fall like chili and cornbread!! Growing up, we would eat this delicious meal on Halloween night! We'd gulp down our chili, carve our pumpkins, and head out for some trick-or-treating. I think my Mom felt better sending us out on those chilly October evenings with something warm in our bellies! Now, just as soon as the weather turns fallish, I get excited to add soups to my recipe repertoire. Chili is the first soup/stew that comes to mind! I am proud to say that this recipe is an award-winner, too! 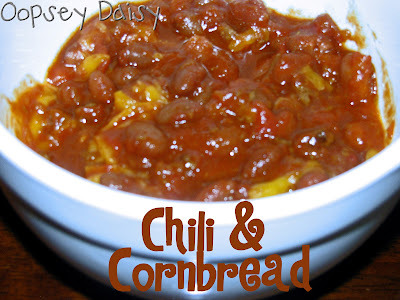 I won a chili cook-off several years ago when I cooked up this very recipe. And I absolutely cannot think of eating a bowl of chili without cornbread! This recipe for cornbread is more like cake than bread... that's probably why I love it so much! It is moist, soft, and deliciously crumby. Topped with hot honey, there's just nothing better! I'll often grab a piece for snacking, too! YUM! The pictures simply don't do it justice! Brown ground beef with onion. Drain. Mix remaining ingredients inside crock pot. Add ground beef. Simmer on low heat in crock pot all day long! (Or on high heat for 4 hours.) Stir around the edges a couple of times during the day. Beat eggs. Add remaining ingredients in the order listed. (If you don't have Bisquick, use 2 c. flour, 1/2 tsp. salt, and 1/2 tsp. baking powder.) Mix well. Pour into greased 9x13 pan. Bake for 30 minutes at 350. Enjoy! Oh my GOSH! We had chili and cornbread last night too!!! My chili recipe was pretty similar to yours, and the corn bread was pseudo similar (I used 1 cupe each of flour and corn meal 1 egg, 1/3 cup oil, 2/3 cup sugar 3.5 tspn baking soda, 1 cup milk, 1 tsp salt and some heavy cream [I just started pouring.. LOL]) And when it came out I tasted it and went "Oh my GOSHNESS! It's so sweet and light! It's more like cake than cornbread!" Mmmmmmm! You are talkin' my language, friend. Its about time for some chili and cornbread. I may have to bring that up to the hubs (its his specialty). The recipes sound great! mmm…I love a big bowl of chili and cornbread is the perfect compliment! 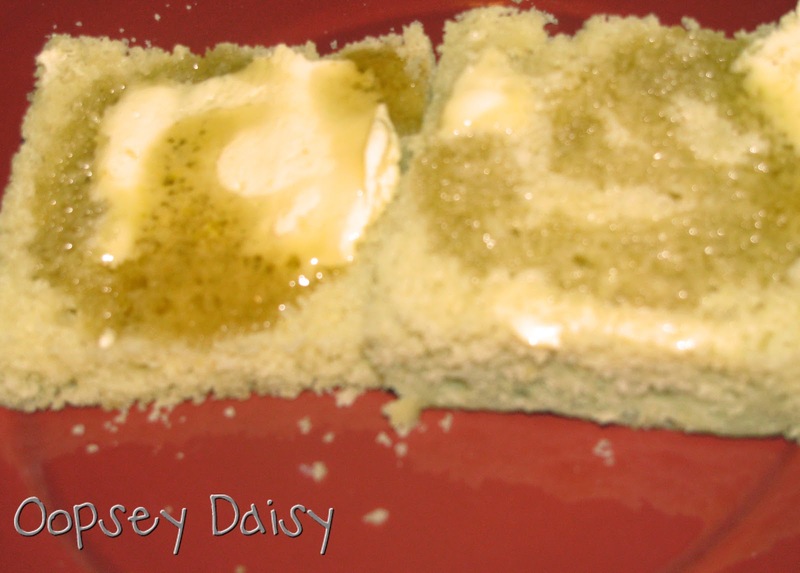 I'm going to give your cornbread recipe a try soon. Thanks for sharing. Stopping by from Tasty Tuesday. Would you please link your recipe on my blog so my readers can enjoy it too?